Hwy 101 mile marker 235d. 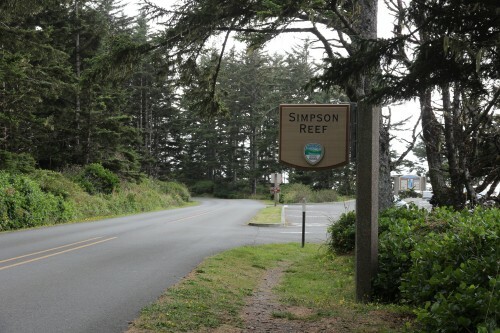 Simpson's Reef is the fourth of five beaches, parks, and viewpoints on the "Charleston Loop". 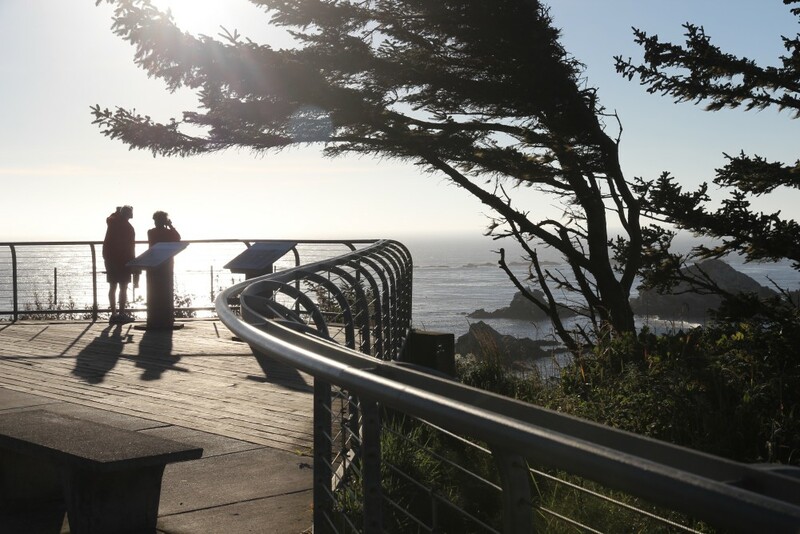 Simpson's Reef Overlook is a viewpoint which presents Simpson's Reef in the distance. 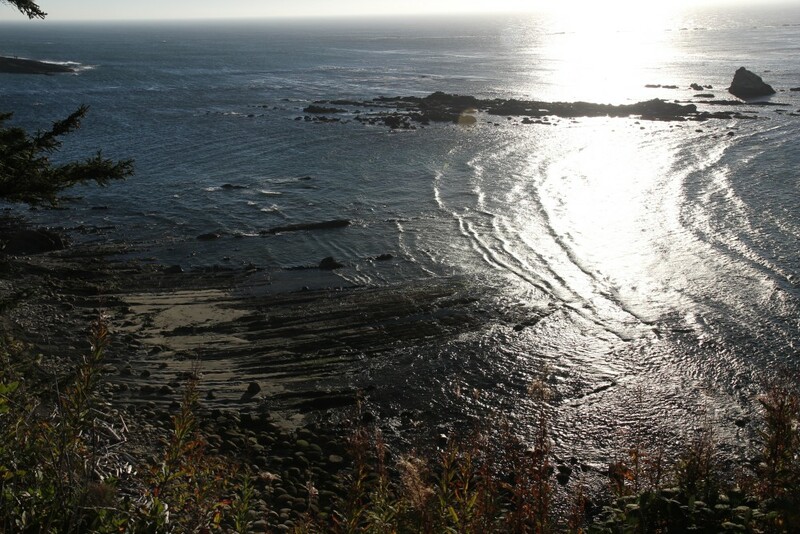 This is a shelf of rocks that juts up about 5 - 10 feet out of the Pacific. However the interesting feature of the Reef is the presence of a great number of seals. Just to hear the otherworldly noise produced by these seals is reason enough to drive or hike to this viewpoint. Oregon state parks link unavailable. No fee required. A late afternoon view of a section of the overlook, with a couple of onlookers.